This class can be used to perform CAPTCHA validation asking questions to the user. 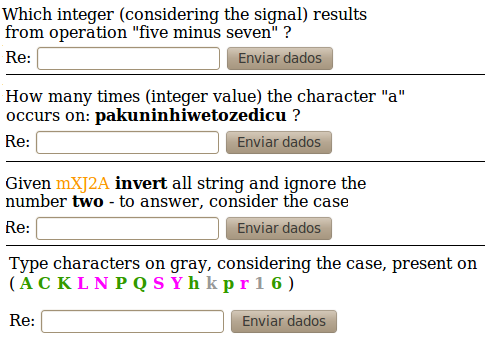 It can generate a question from a list of few possibilities picking random values of colors or numbers. The correct answer is stored in a session variable for subsequent verification. // wrong, you are a machine!